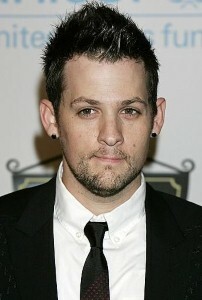 In a recent interview with the magazine People, 30-year-old Joel Madden of the band Good Charlotte said fatherhood has been influencing his song writing for the group’s upcoming fifth album. "Fatherhood has a profound effect on just who you are," Madden said. "It definitely gives you a whole new world to write about." Madden is the father of 17-month-old Harlow Winter Kate, who he had with his girlfriend Nicole Richie. He also offered some advice for soon-to-be fathers around the country: live and learn. "You just have to take it as it comes," Madden told the magazine. "You have to have your own experience and learn as you go. Kids are very resilient and you just have to take it a day at a time." The singer noted that he and Richie are not the first people to have a baby and implied that fathers who may be nervous would be "alright no matter what." In February of this year, Madden posted a message on the band’s website announcing the couple is expecting their second child. It’s been reported that the baby could be due around late August or early September.